I think I've gone mad. I find myself wanting to revamp my blog in it's entirety, even though I did just that about a month ago. I love designing and I think I would like to revamp my blog four times a year. Seems excessive, no? Don't fret, four times, for our four seasons. I always say I gravitate towards darker colors, but now with spring an odd number of weeks away I find myself drawn to pastels! Four changes for four seasons seems reasonable, and because as it is now, with it's dark colors it seems kind of wintery? Sort of? Maybe? Either way spring, summer, fall and our next winter are some ways away. I've gotten time to sort out my madness. Let me know if it's a yay or nay for you guys! Should I do it? Consistency is key ! Stick to a set of color schemes and certain patterns, and have as much fun with it as you'd like. I say do whatever your heart desires, Dalia! After all, it's your blog and should represent you. I think you have a really pretty layout! 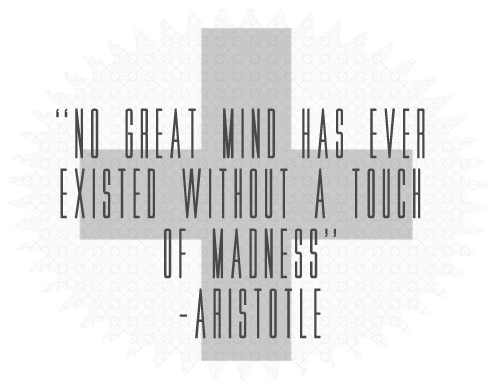 ahh aristotle was such a wise man!